MediaHeal for CD and DVD is one excellent data recovery software for corrupted CDs and DVDs and it’s also one very easy-to-use CD/DVD data recovery software. We developed this CD/DVD data recovery software for all people to use without any training courses and to recover the lost data from CD-R/RW, DVD+/-R, DVD+/-RW, DVD-RAM is just several clicks away. 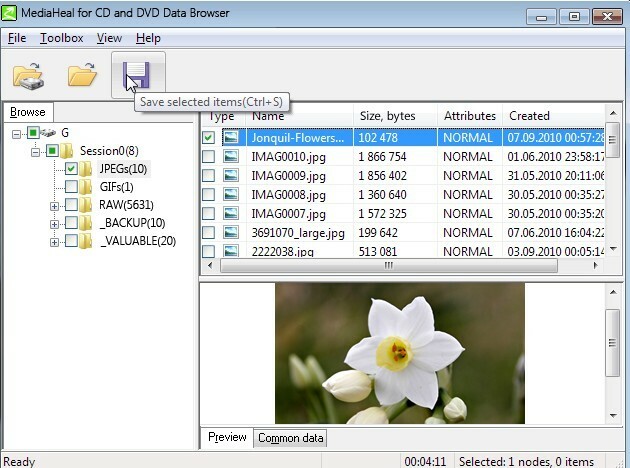 view and selectively extract CD and DVD items using the MediaHeal for CD and DVD Data Browser. Data Browser is a new feature bundled with the product, available from the same program group where MediaHeal for CD and DVD is installed. It is a separate granular data recovery utility to view and extract individual items from CD and DVD. 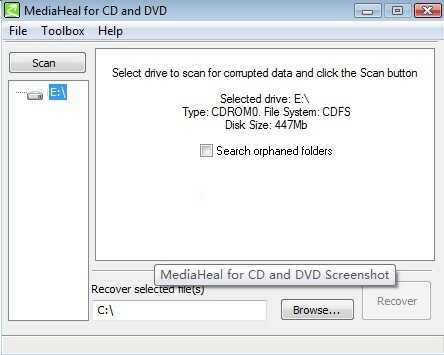 Tip: MediaHeal for CD and DVD Data Browser can be used as a preview and recovery tool on both corrupted and healthy files.